An author writing a book that is part of a series has to write for two audiences. The second and later books of a series need to stand alone for readers who are coming to it without having read the other books, and yet those who have read the other books will look for, and hopefully find, larger themes that carry across the work as a whole. Sarah Thornhill is the final book in what is known as Grenville’s ‘Colonial’ Trilogy. It picks up the story of William Thornhill that Kate Grenville explored in the first of the trilogy, The Secret River, published in 2005. William Thornhill, a lighterman on the Thames had been transported to NSW in 1806 for theft, and after his sentence had been commuted ‘took up’ land on the Hawkesbury River, with all the consequences for the original inhabitants that such an innocuous term as ‘took up’ elides. The second book of the trilogy, The Lieutenant steps even further back in time to the years immediately following the First Fleet, which arrived in 1788. It is based on William Dawes, the astronomer, and his friendship with a young Aboriginal girl, Patyegarang. This sense of this new, native-born generation of British Australians being ‘themselves’ is captured beautifully in this book. John Molony has written about this generation in his book The Native Born (Google preview here) and it is examined in Portia Robertson’s work The Hatch and Brood of Time. One of the real triumphs of this book is the narrative voice that Grenville has crafted in her character Sarah. She is illiterate but quick, and her voice is ungrammatical and conversational. 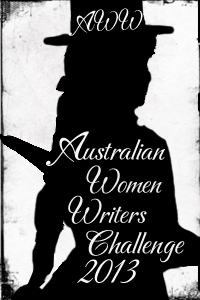 It is not an act of ventriloquism like Carey’s True History of the Kelly Gang, but instead she echoes the cadences and slips of the spoken conversation of an unlettered woman, talking to someone she knows well. At heart, it is a love story. Sarah grows up alongside and loves Jack Langland, the son of a white man and an aboriginal mother who is marginally accepted by the white settlers in the surrounding district. But when Sarah, as a white woman, declares her love for Jack, she runs into the intolerance and cast-iron proprieties of white society and the relationship ends abruptly. 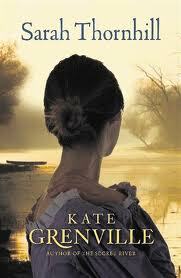 Heartbroken, she marries the settler John Daunt as a second-best, and gradually comes to love him. If the book does nothing else, it tells this story well. But Grenville has another purpose in this trilogy as well. She has clearly identified ‘reconciliation’ as one of her driving passions in her life as well as in her writing, and I think that it’s the theme that holds the three books in this trilogy together. The first book grapples with the question of how a good man does terrible things; the second wonders whether there wasn’t another way; this third asks, what can we do if it can’t be mended. Sarah (and Grenville’s?) answer is to tell the story; say what you know. How will I ever find a way to tell everything that brought me here?…Of those things left undone that ought to have done, and those things done that we ought not to have done? If you follow the public conversation about the nexus between Australian literature and Australian history at all, you will know of the controversy over The Secret River between Grenville as author and the historians Inga Clendinnen and Mark McKenna. Grenville’s take on the controversy can be found here on her own website. She notes in the introduction that she had previously removed this response from the site, but was constantly asked for copies of it. So, at the risk of giving oxygen to it again, she replaced it on the site. I do not at all have a problem with authors having a larger message, a deeper purpose, or a moral, political and intellectual impetus for driving for their work. I do have a problem, though, when it warps the logic of the narrative, and I think that this happens here. Quite simply, I found the ending of the book implausible in terms of the range of behaviours open socially to the characters in the mores of the time and I was not convinced by the drive that impelled their action. Nor do I completely believe Grenville’s insistence that the beat-up belongs in oblivion. In a cheeky little ‘last word’ right at the start, she has an epigraph. It does not follow that because a mountain appears to take on different shapes from different angles of vision, it has objectively no shape at all or an infinity of shapes. And where does this come from? None other than E. H. Carr’s What is History? p. 21. Some other responses I’ve enjoyed. Read because: it was my book group’s selection for March 2013. Hi Janine, I am waiting impatiently for Grenville’s next book to see if she redeems herself! Because with the exception of this one, I have always loved her writing especially her edgy earlier work. I loved Albion’s Story and Lilian’s Story, but haven’t enjoyed her other work quite as much.